The Client ensures that their dog is healthy and up to date on all vaccinations and preventative care deemed required by their veterinarian and will not attend class with dogs who are ill or injured, or who are suspected of being ill or injured in any way. Clients must immediately disclose any illness, injuries, or suspected conditions that their dog may be experiencing or have been exposed to. This includes but is not limited to lethargy, diarrhea, vomiting, coughing, lack of appetite, fever, or dehydration. The Clients must disclose any fearful, aggressive or potentially unsafe details about their dog in advance of training registration. One Leg Up Canine Company and its representatives reserve the right to remove any dog from group class at any time should the dog show any signs of excessive stress and/or reactivity. Absolutely no harsh handling methods are permitted. The use of choke collars, electric collars, and prong collars are absolutely not permitted. Any bites or incidents that occur due to lack of management or neglect remain the responsibility of the owner. Dogs participating in group classes must not exhibit any fearful, reactive, anxious, or aggressive behaviours to either people or dogs. Handlers must be prepared with the necessary items required as outlined by your trainer. These items include many high value food treats, a 6’ flat leash, a treat pouch, a Kong toy, as well as other items that your instructor may specify. Before the trainer enters a home all dogs must be securely managed in a way that ensures the safety of the trainer and all other members of the household during the trainers arrival. Do not allow dogs with reactive, aggressive, or fearful tendencies to greet the trainer at the door. During training sessions there must be one adult handler available per dog. Parent/guardians assume all responsibility for participating minors and must be present during all stages of training. Individuals under the age of 12 years must be accompanied by an adult who is not also handling a dog. Reservations are only considered held once payment has been completed. Space may be limited in some cases, and available spots will be filled on a first-come-first-served basis for payments received. Purchased training packages and classes are non-refundable. In the event that your dog has a medical emergency a refund may be possible. A $30 administration fee will apply and a note from your veterinarian is required to receive credit. Private session rescheduling or cancellations made less than 24 hours prior to the appointment will be considered a used session. We will arrange one (1) make-up class per modular group class program when the request is made prior to the start of the first class. If more than one make-up class is requested, and the request is made prior to the start of the first class, The Client will have the option to pay an add-on class fee for the additional booking request. We cannot guarantee make-up class availability for linear group class programs without an additional fee. All students who must miss a class should follow along with the homework notes and contact us with questions for staying caught-up. Packages and pre-purchased sessions must be completed within 90 days of purchase. Failure to use purchased programs or sessions during the program period will lead to the forfeit of the remaining classes. Services are non-transferable. In the case of medical emergencies or facility holidays an extension to the program period may be given. The acknowledges and consents that pictures, video, and/or basic information regarding their pet may be used without charge and only for the purposes of education, advertising or promotion of One Leg Up Canine Company and related businesses. Promotional media may include, but is not limited to, social media, website, video and posters. Marilyn Aston will not seek compensation from nor permit use of such material by any third party. 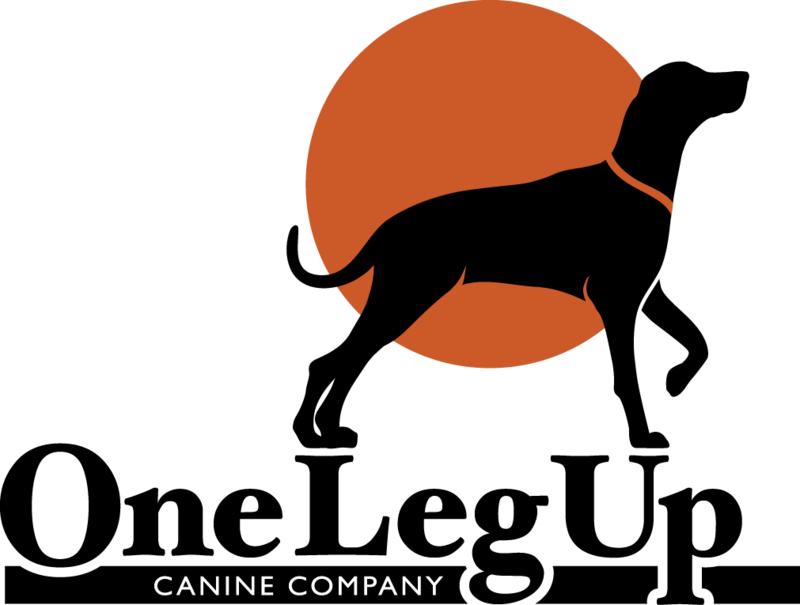 The Client expressly assumes the risk of any damage, injury or death incurred to any person, minor, animal, or property as a result of a dog training session conducted by or on behalf of One Leg Up Canine Company and its representatives. One Leg Up Canine Company/Marilyn Aston will not be held liable for damage caused by any 3rd party, natural occurrence, faulty equipment or lack of maintenance. You are encouraged to maintain adequate Property or Tenant insurance. The Client agrees to absolve and hold harmless One Leg Up Caine Company, Marilyn Aston, and any other parties associated with any service provided. You indemnify One Leg Up Canine Company and its representatives against any claims made against us or losses or damage of any kind whatsoever suffered by us or other Clients or their pets as the result of failure to inform One Leg Up Canine Company of important behavioural characteristics, handling requirements, or medical conditions. The Client will immediately inform One Leg Up Canine Company of any changes that occur with the dog after the time of registration, whether related to behaviour, health, or otherwise.